Pintsch Bubenzer USA has been invited to deliver a presentation at the Association for Iron & Steel Technology (AIST) Crane Symposium. Electric overhead traveling (EOT) cranes are commonplace in steel mills where they can be up to 450 tons or more in capacity and lift ladles of molten metal that are poured into casting machines. Symposium attendees will be urged to consider the safety benefits of installing emergency brakes, especially in environments where critical lifts are commonplace. 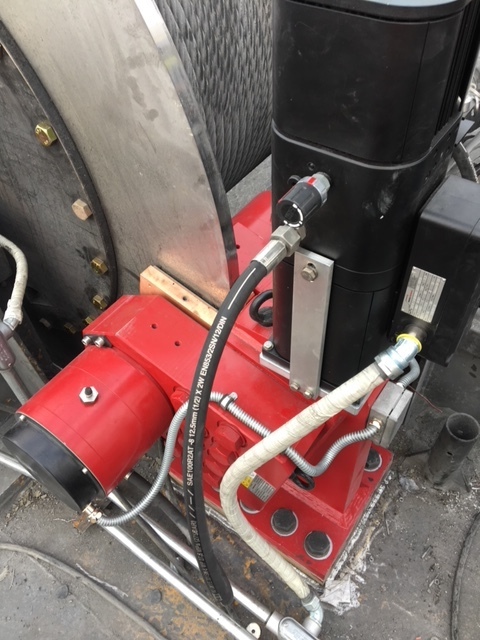 This Pintsch Bubenzer emergency brake acts directly on a ladle crane’s drum, eliminating any chance of drivetrain failure causing a dropped load on a critical lift.